When you go out shooting, you want a reaction. That's why for years old cans and bottles were a favorite at the practice range. Until now! These revolutionary self-adhesive targets explode in color upon impact. And the bright yellow ring around the bullet hole is visible to the naked eye, allowing you shot after shot without interruption. 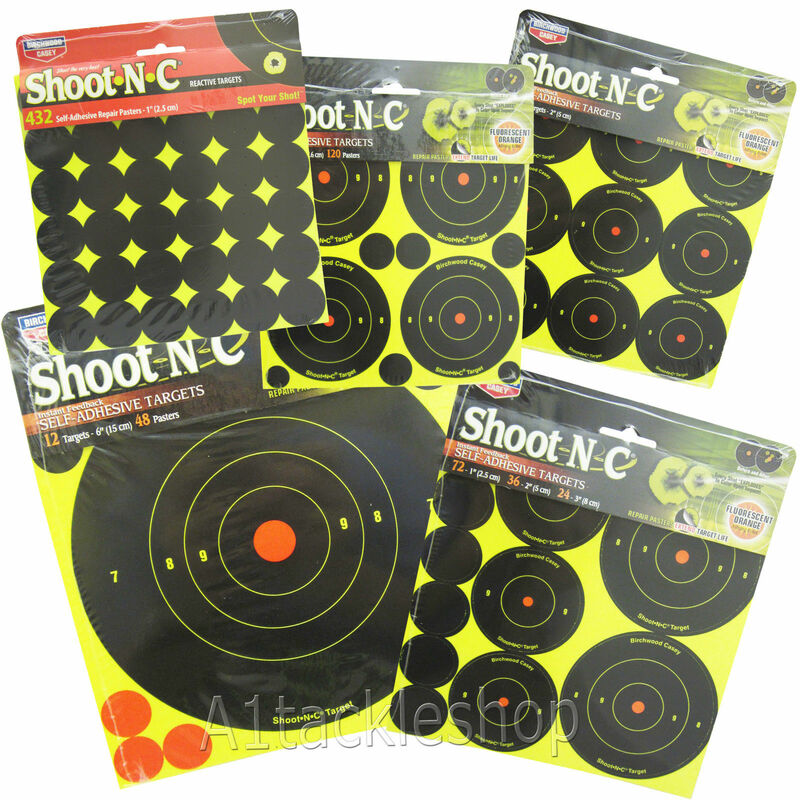 So forget hunting for cans; load up on SHOOT-N-C targets and let the fun begin!